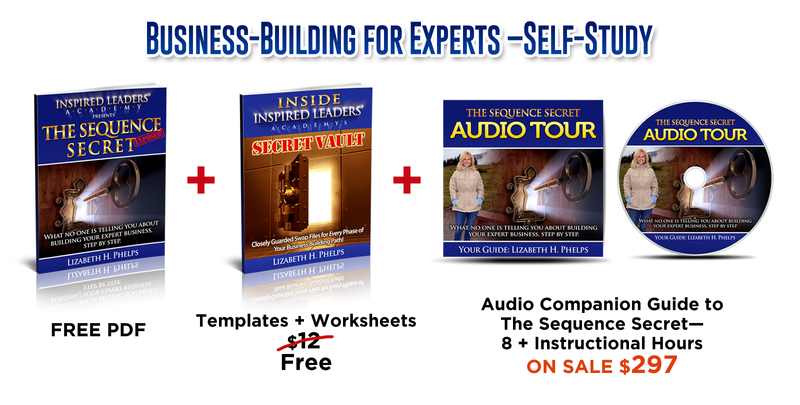 I believe strongly in consistent feedback when building your expert business, or when elements of it are being developed. Therefore, nearly everything I do has a 1-1 component–the “piano-teacher-on-the-bench-beside-you” structure. Any other way is simply ineffective. There are only two offerings of mine that do not fall under this category: 1. 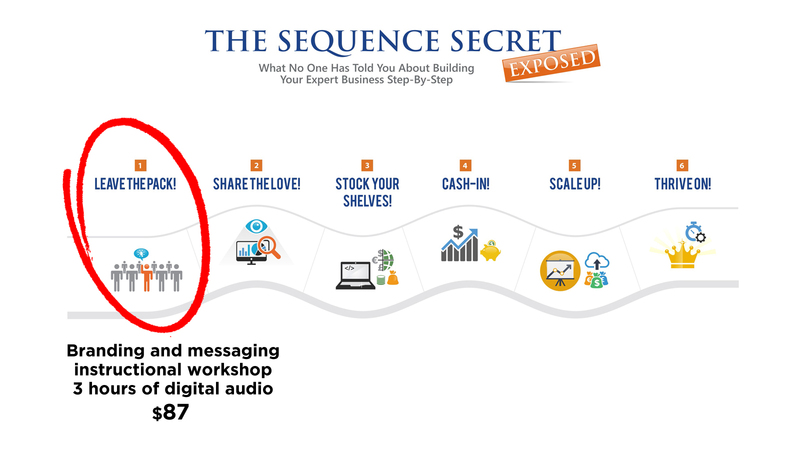 The Sequence Secret Audio Tour, the only information program I offer, and 2. my live events. 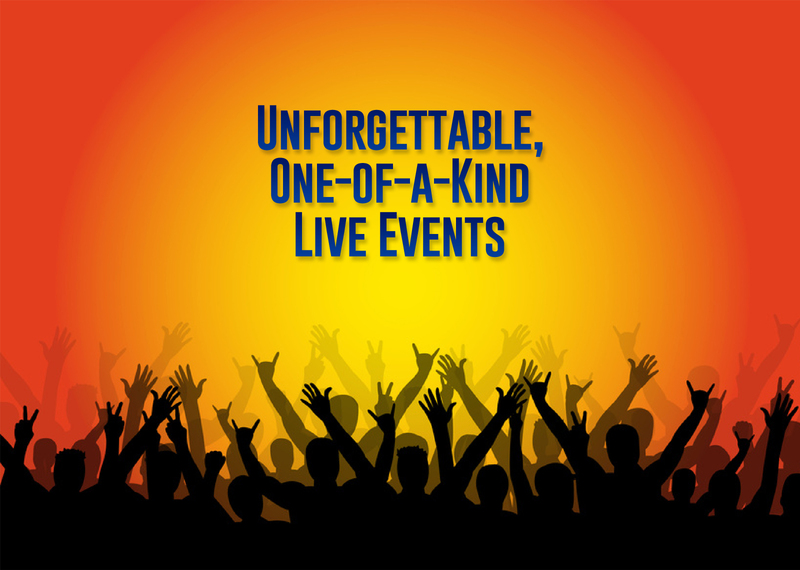 I am comfortable offering these because they provide a solid alternative when 1-1 is not an option–or, in the case of live events, provide an optimal environment for learning. You will find that the services on this page descend from most 1-1 access with me, to least. In this complete 1-1 program, all six phases in the diagram to the left are comprehensively covered. 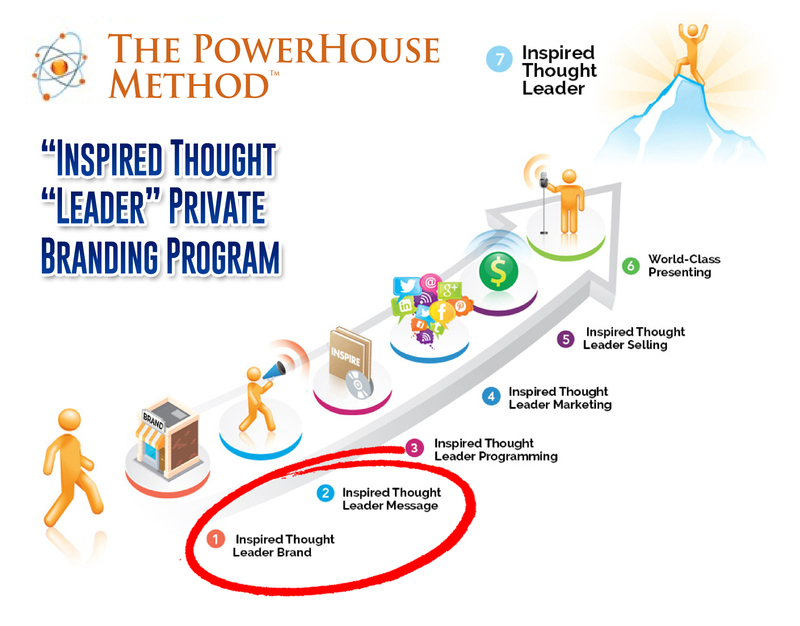 All work is project-based, so tangible deliverables are guaranteed.Phase 1 and 2 are conceived in The Powerhouse Method (TM), my branding program which can be taken as a stand-alone (see below.) 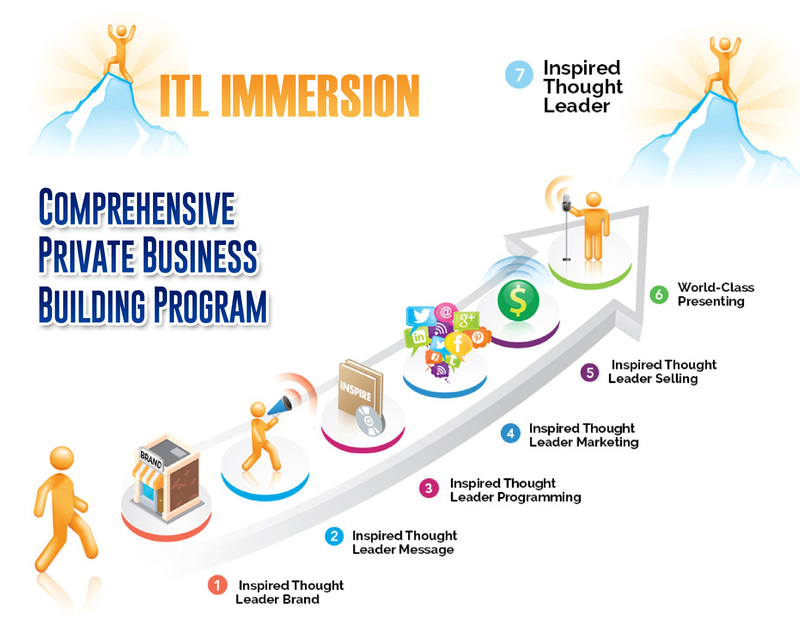 The other phases are fully developed through extensive strategy, scripting of programs, copywriting, public speaking direction and implementation–all on the Inspired Thought Leader platform. 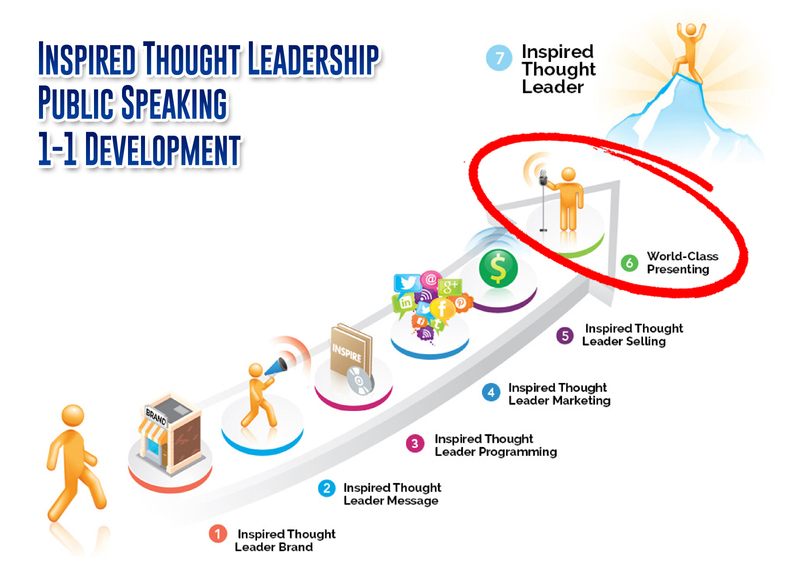 For years, I taught a proprietary public speaking training based on research on learning, memory and emotion in the brain. No matter how seasoned you are as a speaker, chances are very good that you are perpetuating outdated (in some cases, medieval) cultural influences that dilute your effectiveness and also have no place in today’s new world.I do not give the public training anymore, but I do teach brain-based learning techniques to clients in the Immersion Program who must structure their programs to optimize learning for their attendees. 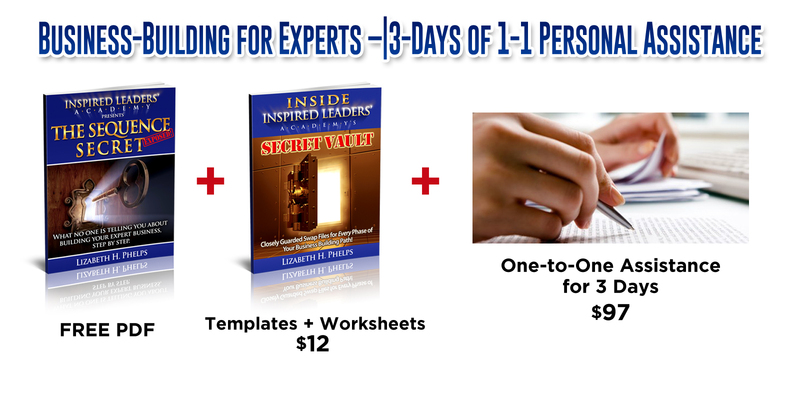 I also offer private audience leadership development days, where the 2 sequences for teaching to the brain, as well as the 8 accelerators, are taught and implemented. These private days are available to small groups and individuals. Please fill out contact form on the bottom of the Home Page to engage in a conversation with me about this service.